She responds by saying she cannot hear the teacher in class and gets confused when everyone is talking at once. At this point, Sarah's teacher recommends a hearing test. Her parents take her to an Audiologist who performs a thorough hearing assessment. The results indicate that her hearing is within normal limits in both ears. Furthermore, her speech perception scores in quiet with headphones are excellent for both ears at soft levels. So what's going on? Imagine being told that your child has normal hearing despite countless examples of listening difficulties. Imagine being the child. It can be a source of great frustration and emotional turmoil for everyone involved. The above scenario is very common for children who may have what we call central auditory processing disorder. 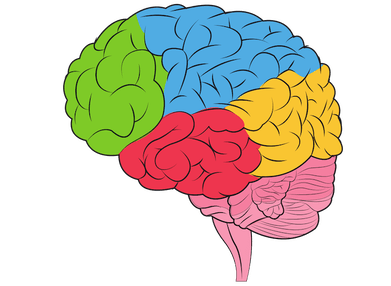 Auditory Processing Disorder otherwise known as Central Auditory Processing Disorder affects about 2-3% of children who have normal peripheral hearing and is due to a breakdown in the hearing process usually within the auditory cortex of the brain. While the auditory signal has no problems arriving at the brain, the neural processes involved in making sense of this information are distorted. In a quieter environment (like at home), this disorder isn't as obvious. However, when faced with the difficult task of extracting important auditory information from their teacher in a noisy (and usually echoey) classroom, a child with Auditory Processing Disorder will struggle. Noise and reverberation in a classroom is like creating distortion on top of distortion for this child and it is no wonder they will exhibit behaviour resembling someone with a hearing loss. Many different types of disorders fall within the ambit of Central Auditory Processing Disorder (CAPD) and therefore CAPD testing can include many different tests. However, not all these tests have been found to be related to listening difficulty or academic performance and the results can be affected by other problems. Some clinics offering CAPD assessment offer exhaustive test batteries which can lead to unreliable results as children become fatigued. 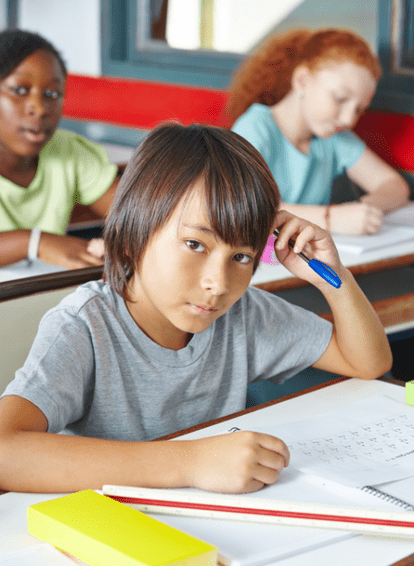 At Pristine Hearing, our test battery includes those that measure deficits that have been proven to relate to listening difficulties and/or poor academic performance. Hearing well in quiet, say at home but looks like they have a hearing loss at school or in noise. Not able to learn new concepts that well or cannot recall instructions. Is really tired when coming home from school. Appears confused or loses interest (poor attention) quickly in group environments. Appears confused or lost or loses interest (poor attention) quickly in group environments. Has poor confidence at school, in groups and is a completely different child at home. May have accompanied dyslexia or other speech problem. So which CAPD tests do Pristine Hearing perform? Pristine Hearing takes a hierarchical approach to assessing CAPD. What this means is that we are strategic and only conduct tests that are necessary on the basis of previous results already obtained. Before any CAPD assessment occurs, Pristine Hearing will conduct a thorough hearing assessment (including micro-suction earwax removal) on your child to ensure there is no peripheral hearing loss. It is much harder to identify CAPD in the presence of a hearing loss as many characteristics of CAPD can be found in someone with even a mild hearing loss. CAPD assessment will only proceed when no hearing loss has been identified and the child is at least 6 years old. We require a child to be at least 6 years old as our CAPD tests only have normative data for children 6 years and older. As mentioned, Pristine Hearing will only perform tests that are well researched and actually are designed to measure a auditory deficit that is linked to a real life listening difficulty or poor academic performance. One such test which was developed by the National Acoustics Laboratory (NAL) called LISN-S is performed on a child to assess whether they have Spatial Processing Disorder (SPD). With this kind of auditory deficit, a child is unable to focus on the target speaker when there are sounds coming from other directions. This is a particularly important skill for classroom listening as often the teacher or target speaker is in the front and their are spatially distinct competing sounds/conversations from other locations. If your child is struggling to hear in the presence of background noise, then they may have Spatial Processing Disorder. If SPD is detected, our testing will stop here as a problem has been identified. The good news is that children with SPD can undergo remediation by participating in a 10 week auditory training program developed by NAL in the form of a fun and interactive game called Sound Storm played on an ipad. Research has shown that when children with SPD play this fun and interactive game twice a day (20 minutes per session), 5 days a week for 10 weeks, 90% of children will be able to improve their ability to hear in background noise such that they will be able to perform as well as they once did but with 10dB more noise. This amazing result and performance isn't just shown to occur at the end of the training period but research shows it is maintained. For more information about SPD, the test LISN-S or the auditory training program for SPD called Sound Storm, please visit the NAL website here. If no SPD has been identified, your Audiologist will proceed with assessing your child's auditory short term memory and auditory working memory. Short term memory deficits have been linked to poor academic performance and increased reports of listening difficulties. This is measured using Number Memory Forward (NMF) which is a sub-test of the Test of Auditory Processing Skills - Third Edition (TAPS). This test was designed to assess how well a child can retain simple sequences of auditory information. Likewise, Auditory Working Memory has been linked with listening difficulties, academic problems and even listening fatigue. To assess this the Number Memory Reverse (NMR) from TAPS is used. If your child fails either the NMF or NMR tests, the assessment will stop as further tests require reasonable short term and working auditory memory skills. Similar to SPD children, children with auditory memory deficits can improve their skills with a course of auditory training and memory skills development. 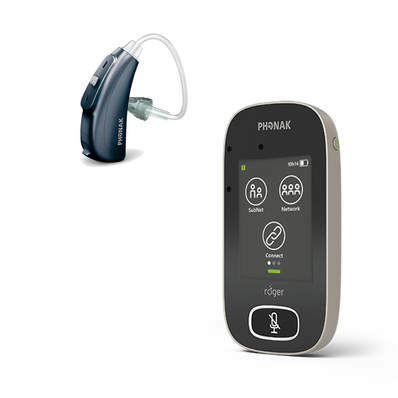 There are a few options to choose from here but Pristine Hearing has selected the software package Memory Booster. Memory Booster is an interactive game that your child plays on the computer 3 times a week over 8 weeks. It has different degrees of difficulty and is designed to push your child to develop different strategies that can improve their auditory memory skills. Indeed, around 60% of children who undergo this auditory training regiment will improve their memory skills. For more information about Memory Booster, please visit here. Lastly, if no SPD or memory deficits have been identified, your Audiologist will perform the Random Dichotic Digits Test (RDDT) and the Dichotic Word Test (DWT) to determine if your child has the auditory processing disorder known as amblyaudia or dichotic dysaudia. Amblyaudia occurs when there is a significant asymmetry between how well each ear performs at binaural integration activities. Dichotic Dysaudia occurs when both ears are weak at transferring auditory information to the correct brain hemisphere. A child with either of these deficits will struggle to hear in a noisy classroom and will generally have poorer attention than their peers. If a binaural integration deficit is found (either dichotic dysaudia or amblyaudia), research has shown that using the auditory training methodology called Auditory Rehabilitation for Interaural Asymmetry (ARIA), a child or even an adult can be rehabilitated. Pristine Hearing offers remediation using the binaural integration auditory training package called CAPDOTS. 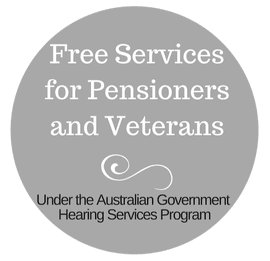 We are the only accredited service provider for this program in WA. More information about CAPDOTS is here. For more information about ARIA and Amblyaudia, here are some articles by Assistant Professor Deborah Moncrieff who has conducted a lot of research in this area. Pristine Hearing takes a holistic approach when creating a treatment plan for your child. 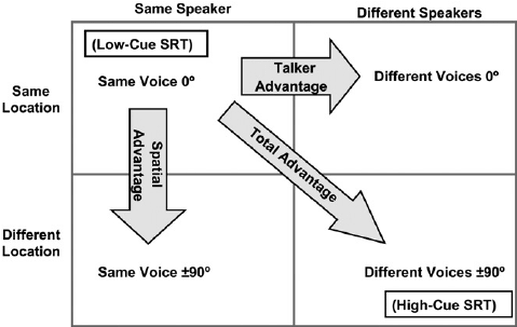 Although we believe the auditory training options discussed above are great in that they are designed to improve a specific skill closely linked to real-life classroom performance, some children are better served by integrating them with workable classroom strategies (including classroom modifications and communication tactics), remote microphones and/or sound-field systems to reduce the effects of noise, distance and reverberation. Your Audiologist can discuss these options at your appointment in order to develop a individual treatment plan appropriate for your child's needs and goals. ​please call (08) 6336 7170 , book online or email us.